So, full disclosure. I've been asked to write this review by Marv, normally I wouldn't bother. But I just texted him to say how happy I am with his service and the kite and I was asked to write a positive review so I am. I've been happy in my little freestyle/wakestyle rut for 5+ years, and have been upgrading boards and kites every 1-2 years but haven't progressed much. Still ride C-kites with a TT and boots and do some basic unhooked stuff, but don't really boost high, etc etc. Lately I've been looking at expanding my sessions into something a little different, and picked up unstrapped on a surfboard and have been enjoying it. And then I stupidly talked to some foilers, and now I am giving that a crack, mostly so I can do some light wind stuff and kite in new countries with a little less wind. 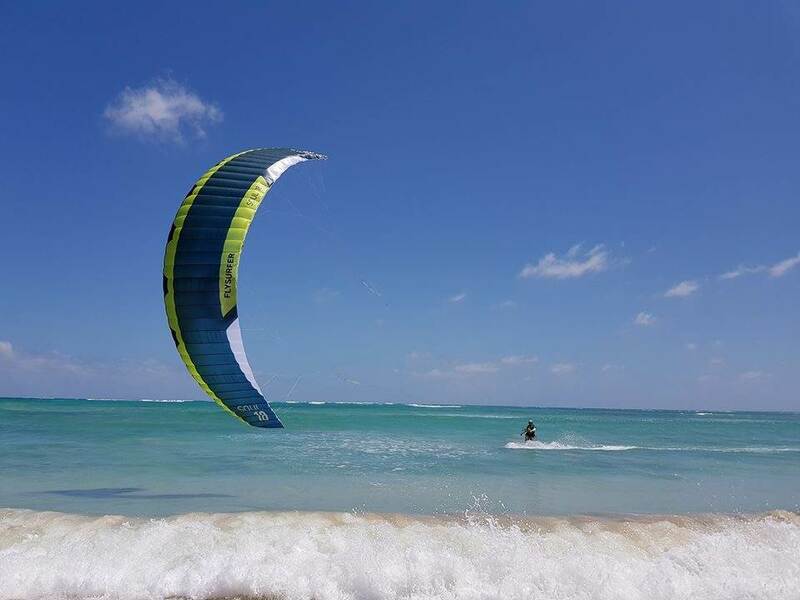 Anyways, so to cut a long story short, I end up buying a Flysurfer Soul 12m from Marvin - it took less than 10 days from the time I messaged him to the time we actually received the kites at our front door - even though I've never flown foil kites (paraglided a bit, but not for 10+ years). My friend buys the exact same kite. We drive down to Rosie today where it is forecast for 20-30 knots and as usual it's a bluff and blowing maybe 12 knots max. Tide is all the way out as well, so I didn't really want to take my surfboard with massive fins out. Wasn't going to go out at all, but my friend takes his 12m out (he weighs something like 90kg). So I watch him set it up, he goes out with his own TT and boots setup and is boosting and staying upwind and having a great time. So I think what the hell, give it a crack. I have to say - this thing impressed the **** out of me. I was ready to hate it, and was completely skeptical I was going to get any joy at all out of flying it. Launch was so straightforward, and happened on the grass behind trees with half the wind not even making it in from the beach. Flies a bit high in the window, but I couldn't get over the lift I was getting. Then go out on my own TT and boots setup with like tiny 28mm fins, and usually where I would be struggling with anything, I am staying upwind just fine, and managing to load and pop and dangle a bit, few backrolls, etc without any issues. Didn't have the balls to unhook or darkslide or anything silly on my first time out with it, but it felt like I could, if that makes sense. The bar pressure is super light and the pull is actually really really gentle.. The thing obviously turns a bit slower, and is way more forgiving with me pulling the bar all the way in when compared to an inflatable but it honestly didn't feel much different. It kissed the water once but didn't lose it or need to relaunch at all so not sure how awful that is when it happens. But yeah, it was honestly like kiting on a cloud. It was only like a 1 hour session but I didn't come in with a sore back like I usually do. Anyways, so call me impressed. I thought foil kites were stupid and foiling looked lame but I may just be a convert. 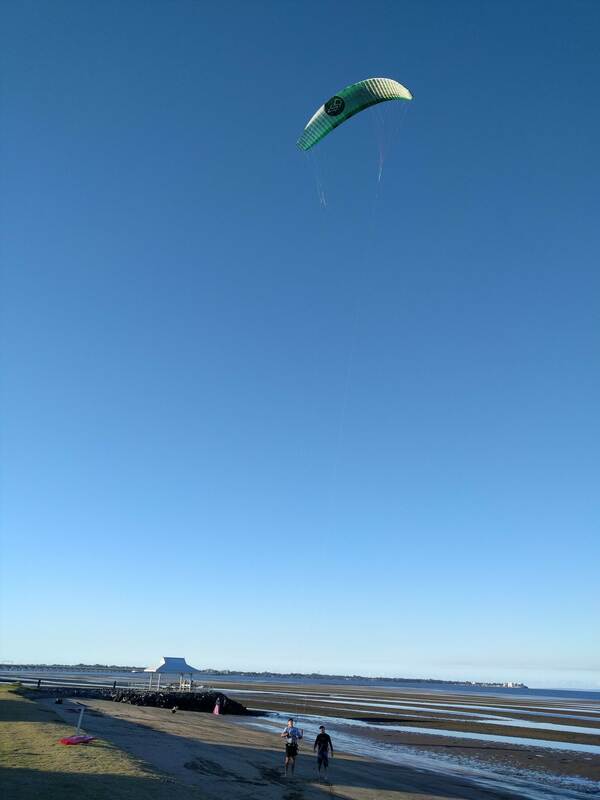 Obviously have nothing to compare it to, but for the first time out on a foil kite, everything from launch to kiting on a friggin TT and boots was pretty damned enjoyable. Even the land and packup wasn't that bad. Either way it's added another dimension to kiting and I can probably now go out in conditions I couldnt before and have a halfway decent session. Can't wait to try it on a SB. Also thanks Marv for replying to your FB messages quickly and sorting me out without any delays! And congrats on your new kid. I've got the 15 (6'6" and ~ 112kg) - love it. Great light wind kite on the foil; seriously considering getting the 10 for heavier days because it's such a great kite. ... we would never have laughed,,,,, but yes we were having a beer or 3!!! Im the other guy who also got a 12m Soul. I have a 9m Hyperlink too. The Soul holds its pressure better and stays inflated much longer than the Hyperlink. There's many design aspects that I like about this foil; one year warranty, reinforced stitching, channel at the trailing edge to allow sand out, adjustable bridals, strong fabric etc. Flying characteristics: loops quicker than I expected (flew on 20m lines). Easily able to complete a downloop when jumping 10m high plus on the way down. Bar pressure is more than the Hyperlink but not excessive. Sits higher / further forward in the wind window than the hyperlink and might need a bit of depower when parked over head. Haven't tried on foil board yet, cant wait! Thanks also Marv for your great aervice. More comparisons / reviews to come later. i found the bar pressure to be a lot less than on Hyperlink. Maybe your experience is because of the size difference between 9 and 12m? Usually smaller kites have less bar pressure. Also what bar/lines are you using? The location of the V-Splitter can make a difference.. 20m lines will be nice inStrong winds especially for boosting huge with lots of hang time. Dont be shy to go down to 15m lines with the Hydrofoil. 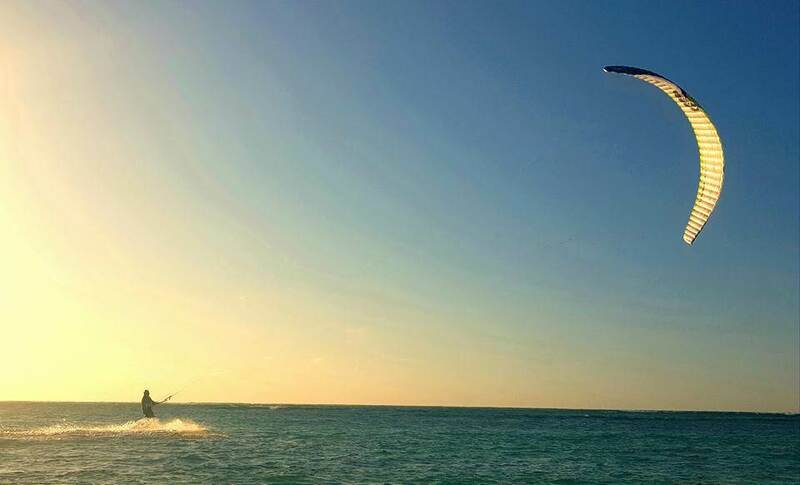 This new generation of foilkite is so much fun, user-friendly with a huge range of use. 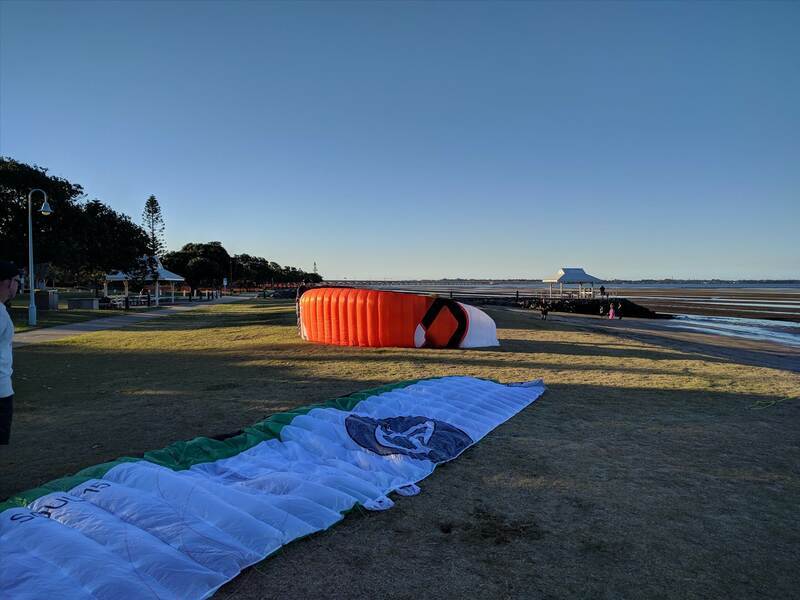 Flysurfer has worked hard for many years ( i was involved with testing in Dubai) to make this kite a special follower of the iconic Speed and the feedback from riders ( beginners to pros) worldwide is incredible. I use TT when windy for boosting and messing around and go foiling in light/medium winds. Have used Rebels for former and foil race kites for latter. My gamble with the 12m SOUL was to bridge the gap which I have to admit is a stretch. The compact approach to travel (no pump , lighter weight etc) as it comes in a small compact zip up bag is a bonus . After a few sessions spanning 12knots to 20Knots I can report that this kite delivers as advertised. 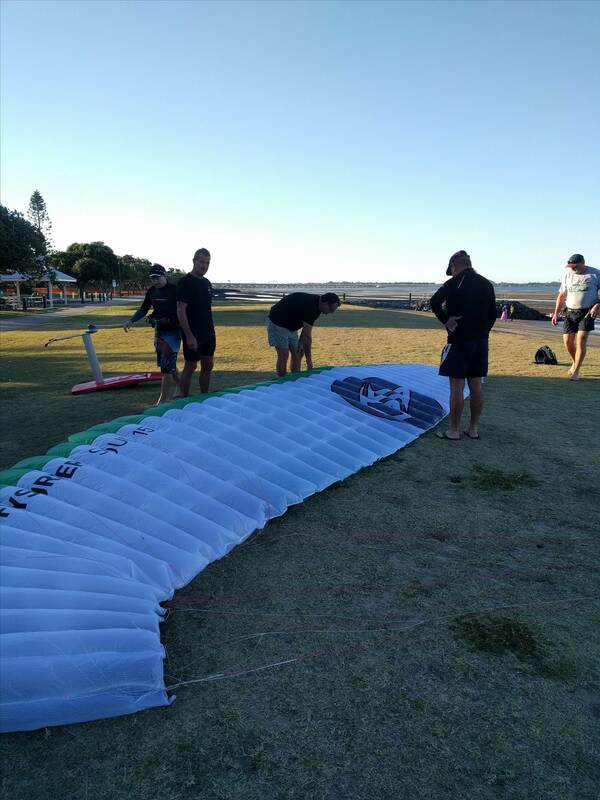 It really does have a lot of the benefits of a foil (upwind ability, low wind stay in the air ability etc etc) whilst maintaining the feel of a tube kite. It appears to be extremely well made and has user friendly features such as self draining, easy relaunch and the like. I didn't find the bar pressure to be any lighter than the Hyperlink. Both kites have their own merits. The new tuning features on the Soul are outstanding though.If anybody in our area wants to test a SOUL just hit us up. I really want a 15m looks an awesome kite and real impressive! cant wait to try that beast now! I'm battling some minor whiplash this week cause I threw a front roll kiteloop on the weekend, misjudged the hang time, over rotated then took the full force of the kiteloop head first backwards! I usually use my souls for foiling boarding but from time to time will use them on a twin tip. You really need to dial in the timing differences if you're gonna use them for looping tricks! Have 12m and 18m SOUL's which serve well for foiling and TT 80% of the time. (Im 100+kgs)....have a 10m LEI for the really windy (25+) days. The 18m is a sweet kite as It can turn quicker than the race style Sonics and is way more forgiving. Ive used it up to 18knots on short lines (17m) on a TT and as low as 8 knots on 24m lines with the foil. For less chubby folk out there I think the 15m / 10m combo is a potential winner!